CTRThe marketing world is full of terms many of us are not familiar with. Sometimes that can be a little intimidating and like someone is speaking an entirely different language. https://www.disruptiveadvertising.com/adwords/what-is-ctr-click-through-rate/We are going to go over a few marketing terms we think are important and break them down so they're super easy to understand. These are also great items to start implementing into your business or marketing strategy if you're not already doing so. What is a buyer persona? According to HubSpot, a buyer persona is a semi-fictional representation of your ideal customer based on market research and real data about your existing customers. In other words, research what your ideal customer looks like. 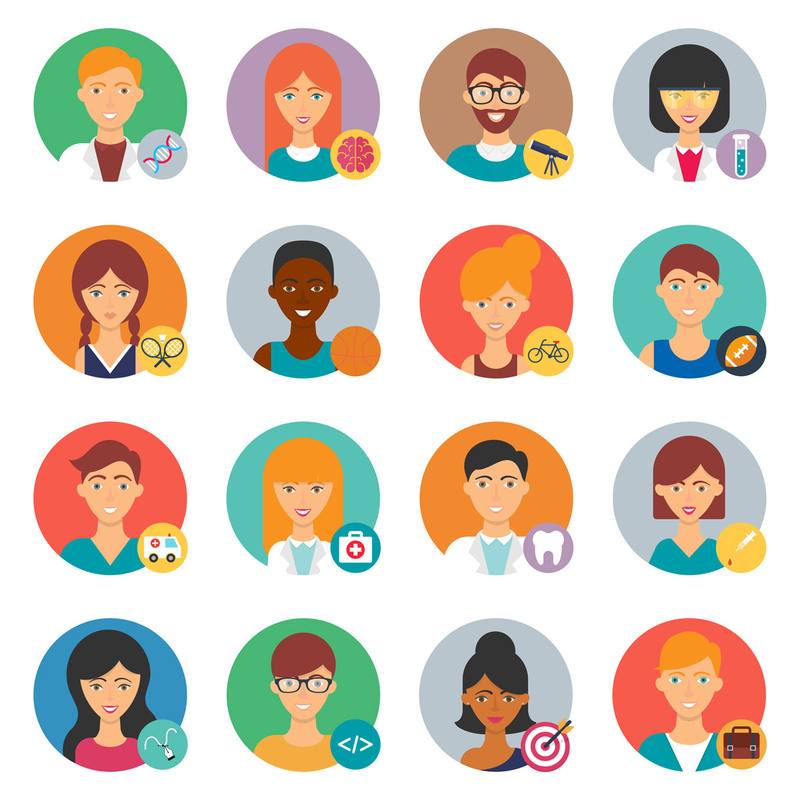 Build buyer personas based on customer demographics, behavior patterns, motivations and goals. You want to make your buyer personas are super detailed. The more you learn about your ideal customers, the more you can really optimize your business. When you know who your ideal buyer is and what they want, you can then see where you need to focus your time and energy in your business (now it's time to focus on the parts of your business you've been avoiding) and help you see if you need to create more content, landing pages, products, etc. to influence more buyers. The reason you should create buyer personas for your business is because they give you so much factual data about your buyers' decisions and give you insight on what happens throughout the entire buying process -- how they found you and why they chose you. However, to be able to see what movements your buyers are making, there must be proper tracking set up on social media, landing pages, and any website. We will talk about tracking later in the blog. R3MAT? What in the world does that mean? Well, the easiest way to understand this definition is to think about it like this -- show the right message to the right audience at the right time. Showing the right message to the right audience at the right time is extremely critical in anyones business no matter the industry or niche. Here's a super simple example: Let's say that someone is looking to buy a pair of shoes. If you are looking to buy a pair of shoes, you don't want to see advertisements for hats, hats would be completely meaningless to you. Sure, you may like hats, but that's not what you're looking to buy. Here's another example: Let's say you are looking to lose weight. You start researching videos and blogs that will potentially help you get your weight loss journey started. While you are researching you start seeing more articles and ads on shoes. You're not looking for shoes, you are looking for ways to help you lose weight. These are examples of things to avoid. People like to get what they are looking for when they are looking for it. The more you know where your people are in the sales journey or in the marketing funnel, the more deals you will close and the more money you will make. This also plays into understanding your ideal customers and the buyer persona. When you know who your customers are, what they want and need at the time they need it, then you will know what type of content they are looking for and know the right time in the sales funnel to show it to them. The buyer's journey is the process buyers go through to become aware of, evaluate and purchase a new product or service. 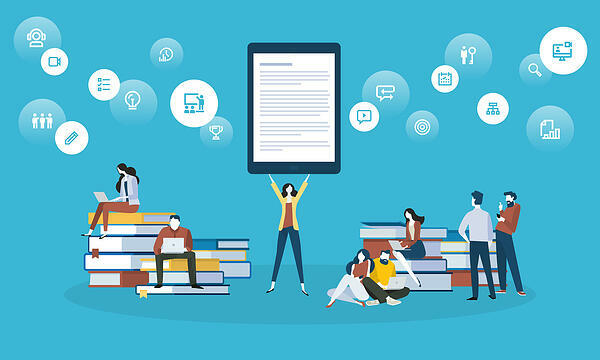 At each stage, your ideal buyer needs diverse types content, served to them at the right time, across a variety of channels and social media platforms (R3MAT). For the buyers journey, make sure to track your buyers every move throughout each stage. The content that is shown to potential buyers, should be focused on their pain points — not your product or brand and especially not what you think they need. If you ask the right questions and pay attention to their buying patterns, your audience will tell you exactly what they want. You want to offer specific content and key features based on what their interests are and what they are searching for. Become a resource and become an authoritative figure in your niche. Make them believe you are their best solution. 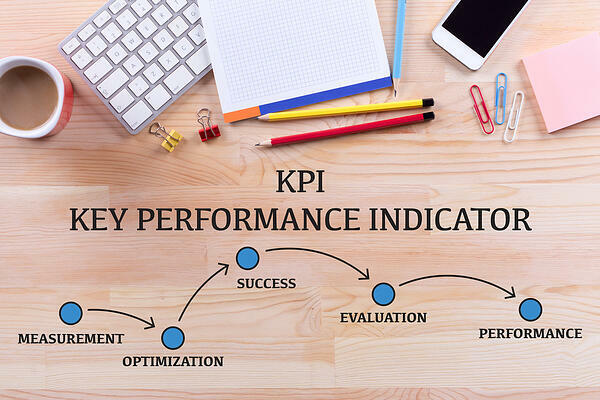 A KPI is a measurable value that demonstrates how effectively a company is achieving key business objectives. In other words, KPI's help businesses evaluate their success at reaching goals or targets. The reason a business should use KPI's is to help improve leading indicators and overall improve your business. Setting KPI's is a lot like setting goals, as long as you work on them you will see some success. If you are looking to get the most success, make sure to track and report analytics along the way. ROI is usually expressed as a percentage and is the most common profitability ratio, to compare a company's profitability or to compare the efficiency of different investments. Calculating ROI for marketing can be tricky and takes time. So, when looking to maximize your ROI, make sure to test various types of offers and creative on your remarketing campaigns. ROI = (Net Profit / Cost of Investment) x 100. Marketers and businesses should revisit goals every few months to track the most recent successes and failures. 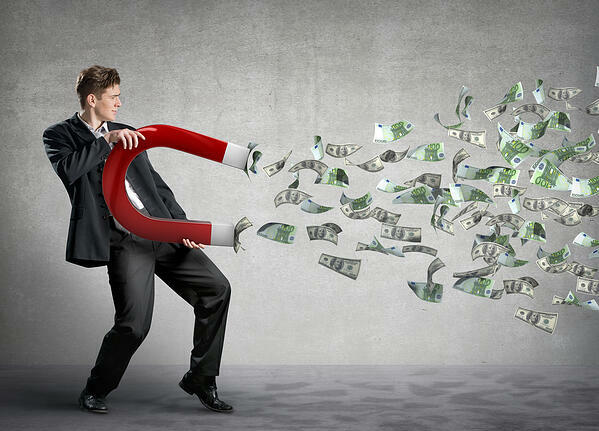 Make sure your business/campaign are delivering ROI and not losing money. Has my campaign made any progress so far? Have I found my ideal audience? Have we increased reach and engagements? When a person enters something into a search engine, it gives you two results, organic search and paid search. Organic search is known as natural search and are the results that match the user's search query based on relevance. A combination of keywords, back-linking and writing high-quality content will help a business achieve great organic search rankings. Organic search should be a critical part of any business. There are great benefits to using organic search. Organic search helps improve trust among users and is very cost effective. 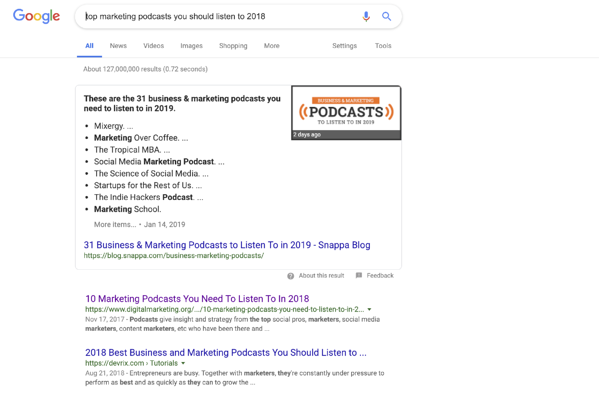 Here's an example of a blog we wrote about the 10 marketing podcasts you need to listen to that landed us #1 in Google's organic search rankings. Remarketing is basically marketing to someone who has already interacted with you online in some way. Either by visiting your website, opting in, viewing your article/blog, etc. Remarketing is an awesome way to boost your sales while keeping your audience super engaged, especially when using Facebook remarketing. Facebook remarketing refers to the act of running ads targeting toward past visitors on your site. Facebook more commonly refers to remarketing as custom audiences. Here's an example, if you know someone read your content, but they never got the next piece of content or didn't buy. Now you know they are interested in what you have to say, so make them want whatever comes next. You could show them some ads relevant to what they read or send them another piece of content similar to what you know they liked. If you want to learn more about Facebook remarketing click the image below! CTR is the ratio of users who click on a specific link to the total number of users who view a page, email, or advertisement. In other words, it is the percentage of your audience that clicks through from one part of your website to the next step of your marketing campaign. 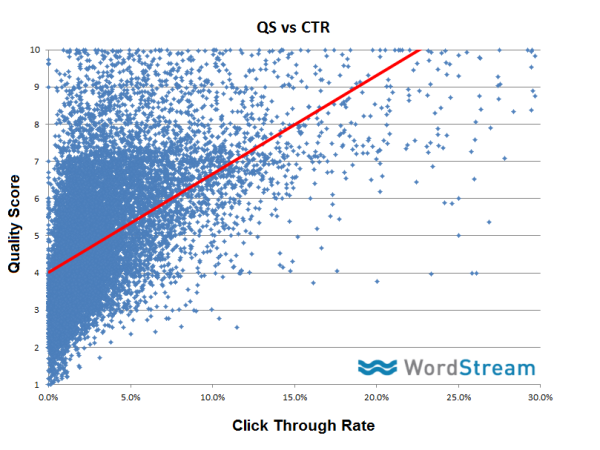 Click-through rates directly affect your quality score. This is important because a high quality score helps you improve or maintain an ad position at a lower cost, which is what people want.